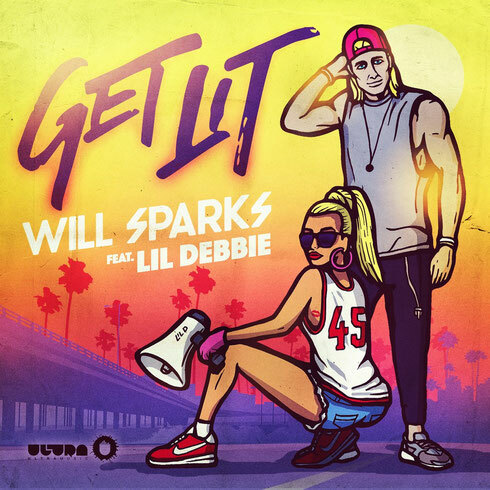 Australia's Will Sparks recently released his new single, ‘Get Lit’ featuring Lil Debbie, via Ultra Records. Coming off of a big Halloween weekend that saw him launch his "Get Lit" North America and Asia tour, Will continues on his streak of big tracks with his newest effort. On ‘Get Lit’, Will sticks to his guns by laying down a crunchy Melbourne bounce groove under Lil Debbie's vocals, before dropping into booming drums, a soaring synth line, and melodic percussion that completes the possible main stage-ready production.